I have been counselling since 1999 when I trained as a person centred counsellor. 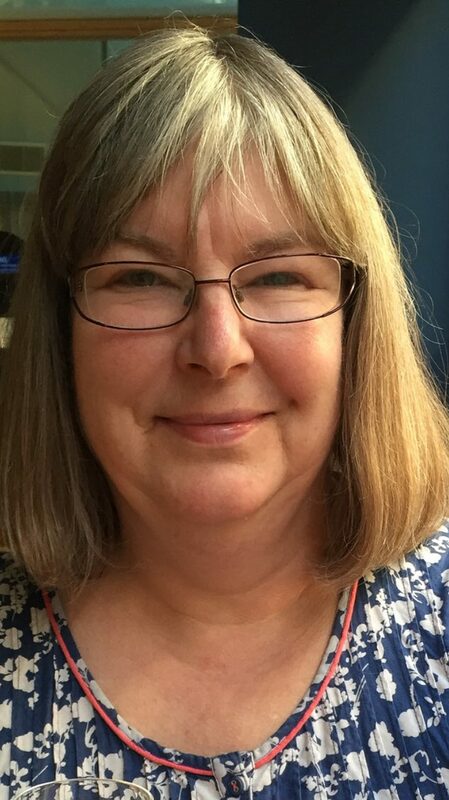 After years of working within an organisation, where I counselled clients and supervised trainee and qualified counsellors, I am now fully concentrating on my private practice as it is becoming more difficult within an organisation to offer the pace and length of counselling that may be required. 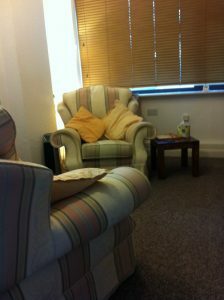 I am able to offer counselling that will be about your needs and we can work at a pace that suits you. I aim to offer a warm, safe, confidential and non-judgemental environment where we can explore together how you can bring awareness and clarity to your worries, fears and concerns and find a way forward. “Tension is who you think you should be. Relaxation is who you are.” – Chinese Proverb. At the core of person centred counselling is the self actualising tendency, a belief that, given the right conditions, we all have it within us to reach our full potential and counselling will help you to work with honesty and congruence and deeply explore whatever is troubling you. For that to be able to happen we build a trusting, confidential and honest relationship where you will feel safe exploring your deepest secrets or anxieties. Then together we can work on understanding what that may mean for you and how you can clarify and understand a way to move forward with your life. Our first session together would be an exploration of your issues and worries, where we can work out what you would like to achieve from counselling. Some people find this difficult as they simply know they are troubled, anxious, suicidal, depressed, angry, unfulfilled, lost or bereaved and just want to feel better. The process of counselling will enable us to work together to find a way through the confusion and arrive at a way forward that is right for you. As everyone is unique I am able to offer long or short term therapy. Each session is for one hour and the frequency of the sessions can be discussed in the first session although it will usually be weekly. I have supervision for the counselling that I do and in turn this is also confidential. Supervision is to support the counsellor in the way they work and to ensure the counsellor is working safely and ethically. I am a registered member of the BACP and I keep brief notes of our sessions and these are securely kept as required by the BACP ‘s Ethical Framework. They are destroyed six months after counselling has finished as explained in my contract. "Thanks for all your help and support over the last few months. You've really made a difference." "You were a safe haven for me. I could be honest and be me." "I can never thank you enough for your help and support. I am a stronger person now." "There are no words to express my gratitude to you." "I shall keep the vision of you sitting on my shoulder, prompting me when I need it!" "Thank you for listening to me when I didn't have anyone else. You do an amazing job."